Weekend Historical Happenings: 8/4/12 - 8/5/12 ~ The History Girl! The Whitesbog Preservation Trust will host a moonlight walk at Historic Whitesbog on Saturday at 7:00 pm. By the soft glow of moonlight, walk through the dark, mysterious pines, along white sugar sand roads, to the shimmering cranberry bogs. Whipoorwills may offer their melodic calls. The leader will offer stories of the people who built Whitesbog, the local "Piney" folk, and the more recent American immigrants, all of whom worked here to make it one of the most successful agricultural enterprises in New Jersey. Meet at the General Store at 7:00 PM. Guests should be prepared for a relatively vigorous walk, are encouraged to dress for the weather and bring everything that may be needed for a hike: sturdy shoes, appropriate clothing, and a flashlight. Light refreshments will be served after the walk. Inclement weather cancels. Fee is $5 per person. Reservations by Friday, August 3 are required: leave name, telephone number and number of people attending on main voicemail, 609-893-4646, or email WhitesbogPreservationTrust@comcast.net. All proceeds benefit the Whitesbog Preservation Trust in its tireless efforts to restore and protect Historic Whitesbog Village and its surrounding lands. Whitesbog Village is located at mile marker 13 on County Route 530 in Browns Mills (Pemberton Township), NJ. To find out more and for directions call 609-893-4646, email WhitesbogPreservationTrust@comcast.net or visit www.whitesbog.org. Howell Farm will hold its annual old fashioned honey harvest on Saturday from 10:00 am - 4:00 pm. All of the Farm's bees will be on their best behavior that day according to beekeepers, who have invited the public to meet the queens, drones and workers who are responsible for this year’s crop of clover honey. Visitors will be able to help uncap and extract honey, to taste and buy honey, and to see the insides of working hives. For a unique, colorful, and fascinating way to spend a summer's evening, bring a lawn chair or a blanket to spread on the lawn of the Old Barracks Museum in Trenton at 8:00 pm, Saturday. The Fifes and Drums of the Old Barracks Museum will perform a traditional "Taptoe" ("Closing of the Taps" signaling the end of the soldier's day) at sunset, performing a variety of military and traditional songs common during the time of the American Revolution, including the ceremony retiring the "Colours," displaying the remarkable versatility of these most common of military instruments. Selections will also include vocal selections, the Celtic flute, the fiddle, and the bodhran, all set against the romantic and dramatic setting of the sun behind the 254-year-old Barracks and Officer's House. Admission to the grounds is $10.00 and visitors are invited to bring a blanket or a lawn chair and spread it on the lawn surrounding the Barracks Parade Ground; light refreshments will be available for purchase at a low cost. For $20.00, visitors may reserve a seat on the Barracks 2nd floor gallery surrounding the Parade where they will be served complimentary wine and cheese. Seating will be limited so interested souls are encouraged to make reservations in advance by calling 609-396-1776 for lawn and gallery seating. Old Barracks Museum is located at 101 Barrack Street, Trenton, NJ. 609- 396-1776; www.barracks.org. The Robert E. Lee Civil War Roundtable presents its annual Civil War Living History Weekend at Parker Press Park, Rahway, Avenue in Woodbridge on Saturday and Sunday. Camp open to the public 10:00 am - 4:00 pm. See reenactments of battles, walk through the camp, meet soldiers, artisans and more! Candlelight tours of the camp will be held on Saturday from 8:30 pm - 10:00 pm. Rain or shine, free admission, and free parking. There will also be a Civil War Library book sale. "Down on the Farm Weekend"
Experience the life of a farmer through hands-on activities and exhibits at Historic Cold Spring Village's 'Down on the Farm' event, which will be held Saturday and Sunday, from 10:00 am - 4:30 pm. Historic Cold Spring Village, a 19th century open-air living history museum, presents the trades, crafts, architecture and lifestyles of an Early American, rural South Jersey farming community. The Village is also home to a working 8-acre organic heritage farm complex. Special exhibits throughout the Village will include a vast collection of antique and modern farming equipment and hand tools. Visitors can tour of the historic Gandy Barn, c. 1880, which is now home to Levi the horse! In the morning, Levi and the Village farmers will demonstrate horse-driven farming techniques. During the afternoon, visitors can take horse and carriage rides around the Village - free with admission! Village farmers will also demonstrate traditional methods of feed production, from corn shelling to milling. Guests can also visit the Village sheep, pigs, chickens and calf! The Family Activity Area will feature children's dress-up clothes, games, and cornhusk doll-making. Kids can even navigate a hay maze! On Saturday at 11am, the Second Annual Village Dog Show will begin with a Pooch Parade. Entrance in the Dog Show is $5 per pet and includes a treat and bandana. At 2pm on both Saturday and Sunday, HCSV Education Director Jim Stephens will present The Story of Old Glory, a fascinating look at the origins and history of our nation's flag. The Friends of Historic Cold Spring Village are hosting a traditional South Jersey corn and potato roast. Visitors can also purchase Village-grown organic produce at the Country Store. Historic Cold Spring Village is a non-profit, open-air living history museum that portrays the daily life of a rural South Jersey community of the Early American period. It features 26 restored historic structures on a 30-acre site. Historic Cold Spring Village is located on Route 9, three miles north of Victorian Cape May and a mile and a half west of the southern terminus of the Garden State Parkway. Admission during the season is $10 for adults and $8 for children ages 3 to 12. Children under 3 are admitted free. For more information on events, membership, volunteering, or booking private affairs, please call (609) 898-2300, ext. 10, or visit www.hcsv.org. Teddy Bear Tea Party: B.Y.O.B.-Bring your own bear (or dolly). Teddy Bear Tea Parties at the Emlen Physick Estate feature kid-friendly menus and teddy bear music. Miss Jeanne and a special guest from The Cape May Teddy Bear Co. will be presenting stories and activities for the Teddy Bear Tea attendees as well as providing a goody bag. Program begins at 12:00 noon. $18 for adults; $10 for children (ages 3-12). 1048 Washington St. Sponsored by the Mid-Atlantic Center for the Arts & Humanities (MAC). For more information or to make reservations, call 609-884-5404 or 800-275-4278 or visit www.capemaymac.org. A narrated tour of the beachfront, east of Madison Avenue to the Coast Guard Base where the trolley will continue with a tour of the only U.S Coast Guard training facility in the United States. Trolley will take passengers to the Sunset Parade of the entire battalion of recruits. 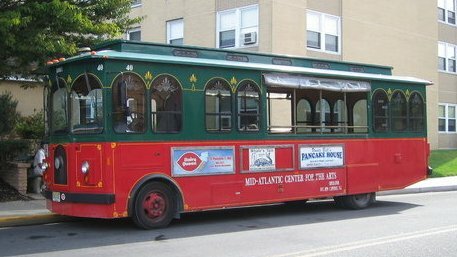 Following the Sunset Parade, the trolley will shuttle back to the trolley stop. Trolley leaves at 6:15 p.m. Photo ID required at the base. Sponsored by the Mid-Atlantic Center for the Arts & Humanities (MAC). For more information, call 609-884-5404 or 800-275-4278 or visit www.capemaymac.org. Potter's Tavern in Bridgeton, will be open Sunday afternoon from 1:00 - 4:00 pm. Potter's Tavern was a popular meeting place just before the Revolution due to it proximity to the Cumberland County Courthouse. For several months between December 1775 and February 1776, Matthew Potter posted a manuscript newspaper called The Plain Dealer at his Tavern. Although it voiced opinions pro and con the British, it is remembered as a patriotic voice against Crown rule, making the tavern keeper a hero of the Revolution. 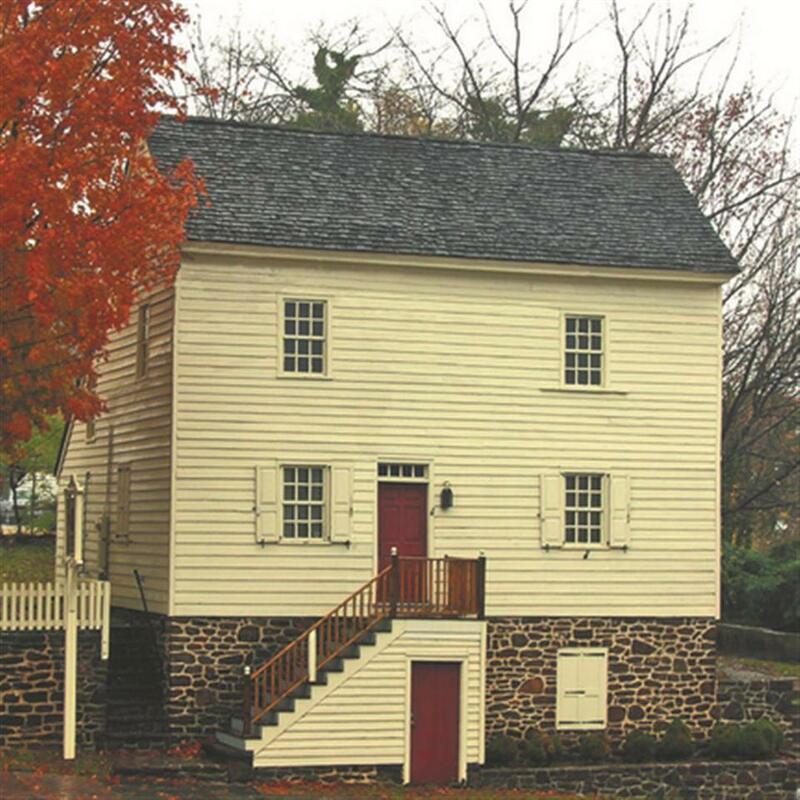 This original 18th-century frame structure, carefully restored at its original site on the Broad Street hill facing the Courthouse, is listed on he National Register and owned and operated by the Cumberland County Historical Society. Contact and other information can be found at www.cchistsoc.org.